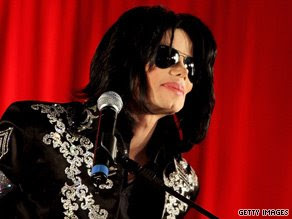 Tonight people around the world are mourning the passing of two entertainment icons, Michael Jackson and Farrah Fawcett. We have no guarantee for tomorrow. We have this moment. Where will you spend eternity, friend? P. S. My pastor/writer friend Greg Asimakoupoulos penned the following poem in the aftermath of Farrah and Michael's death and it ties in well with my thoughts. Farrah's dead and Michael, too. The news is shocking, sad but true. are gone before their time. But lest I think "Who gives a care?" I'd best remember I'll be there. What's bad will someday steal what's good. There's no way to beat it. before our friends find out we're dead. Check out Greg's writing at The Partial Observer here. Thanks for your faithful writing. Thanks for the post and poem. We are called to number our days.... to wisdom.